I’ve been quite busy working on several projects, but none are quite ready yet to be blogged about. (For progress pictures etc. see my instagram and facebook page). So for now, some more very pretty pictures. The topic was inspired by the last inspiration post, where I couldn’t include all of these. 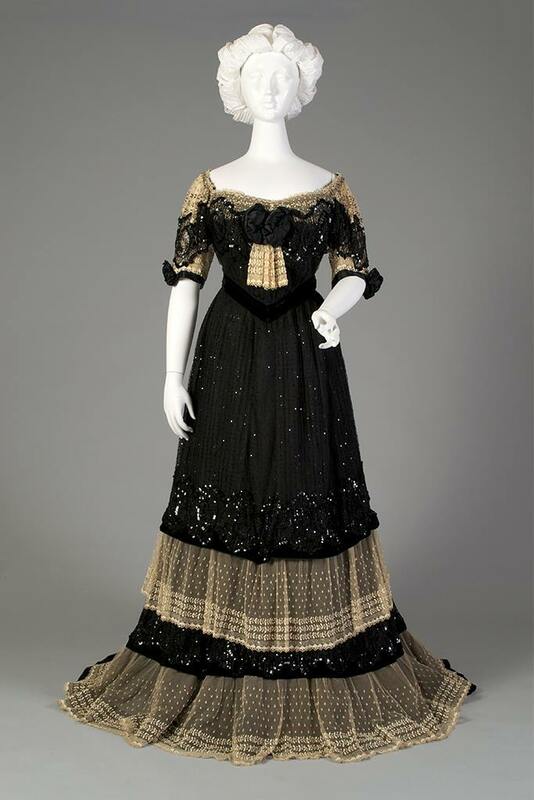 Lace has been used for centuries, but the height of it’s popularity might be the turn of the 20th century. 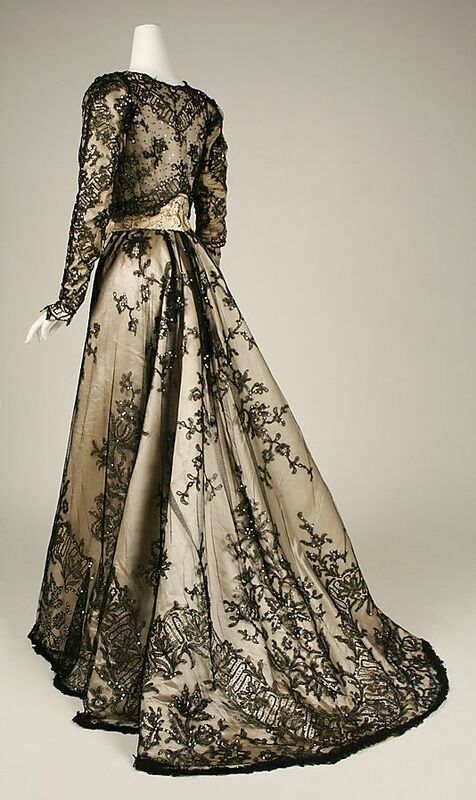 I adore these dresses, and would love to recreate them, but the cost of suitable lace is frighting, so instead I just admire. Although there were a lot of solid white and colored dresses with lace, this post would be too long if I included them all. So the theme will be black & white. Last April I wore my full Edwardian outfit for a yearly fantasy event. There are always a lot of photographers present, and I met up with the same photographer who took the latest pictures of my 1860s ballgown, so I now have some very nice images of my outfit! All images were taken at Elfia, on the grounds of Castle de Haar (restrored from a medieval ruin between 1895 and 1912, so the outfit fits quite well with the grounds 😉 ). I wore nearly my full Edwardian outfit, I only substituted my shift with a thermo-shirt as it was about 8C outside (seriously, it was the 25th of april, stupid weather). Luckily, we did manage to keep it mostly dry with only brief showers. Those are also the reason for the umbrella I’m carrying in some of the images. What I made in this outfit: Bust-improvers, Corset, Corset-cover, Drawers, Petticoat, Blouse, Skirt, Jacket, Hat & Purse. The gloves are vintage and the umbrella was a necessary evil because of the weather. (by the way, an umbrella combined with a hat this size doesn’t work, no way to keep it centered above you as the hat is in the way. I just fled inside when it started to rain). 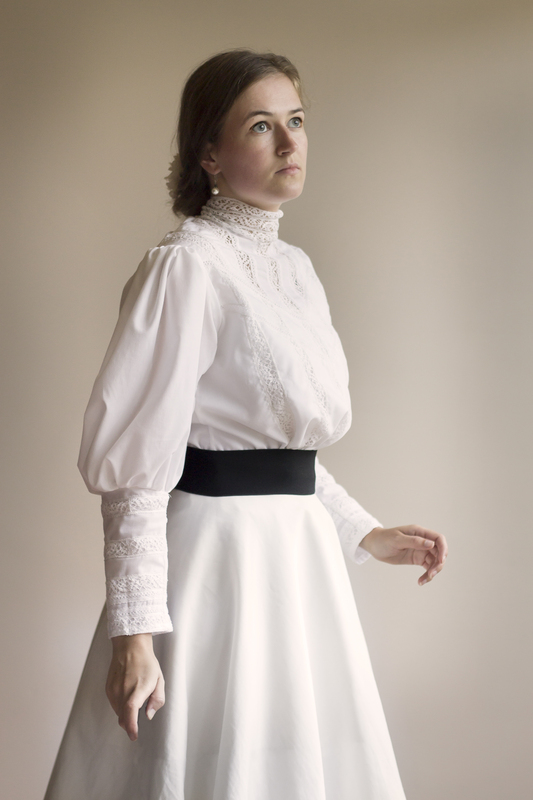 My Edwardian outfit is now really done! I finished my hat last week, but didn’t manage to get the hairstyle completely right on the first try. This weekend I tried again, with a little more success. I also managed to finish my jacket last week, so I now have proper images of both! Hopefully, I’ll be able to wear the entire outfit in 2 weeks, provided it doesn’t rain that weekend. 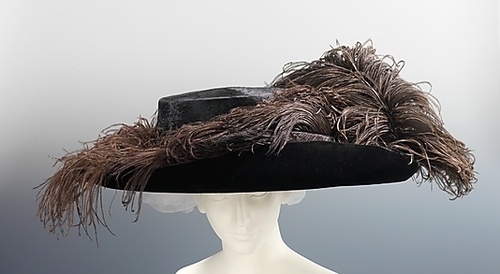 I already had some black ostrich feathers from antique shops, and leftover black velvet. I started with taking the dimensions from the inspiration and making a paper version. I then cut down the height quite a bit, because it looked strange, and ended up with this paper version. It turned out a little wobbly, but good enough. Next step, construction! I folded the sides of the crown inwards and outwards by cutting slits into them, and then stitched this to the crown and the brim. Around the brim I put steel thread to strengthen it. This I attached by machine, which took some careful sewing, but I managed not to break my needle! So now I had a hat, but not a very pretty one. I covered the hat with black velvet. First the crown, which I stitched to the buckram around the sides. The side of the crown and the brim I sewed together, then putting it on by sliding it over the crown. I turned over the raw edge at the top to the inside, and turned the raw edge around the brim to the underside. The bottom I covered with black cotton, following a similar process as for the velvet. around the brim I turned over the cotton and sewed it to the velvet. Inside the crown, I just cut a rectangle strip and made a bag-like inside with a cord, so I can adjust the size of the crown on the inside. (clearer picture will follow). So now I had a fully covered hat! It’s still a bit plain though, so this is where the feathers came in. I had 2 of batches, one bigger than the other. It took some careful placing, but I managed to sew them all to the hat. I covered the end of the feathers with a velvet ribbon bow. So I now have a finished hat! I really love how big and dramatic it is. Even though it’s not perfect (the fabric around the crown isn’t as tight as I’d like, I’ll probably attatch it differently next time), I still think it’s a pretty good first hat! The inside can be made smaller with a piece of string. I don’t really need this with full Edwardian hair though! Pictures of me wearing it at the end of the post! I also finished my Edwardian jacket. 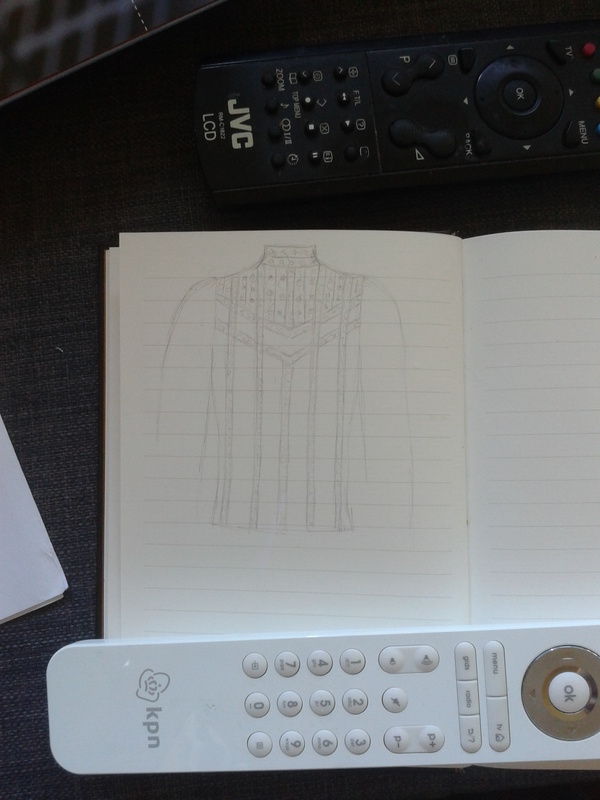 I drafted the pattern myself, the plan was a jacket which was open in front to still show my blouse. I wanted it to reach just to the top of my skirt, have 3/4 length sleeves and velvet details. I didn’t plan on the lapels, but when drafting the piece of cotton I was using happened to have the perfect shape, so I kept them! I used a similar sleeve pattern as in my blouse, just with a little less width and a little shorter. I also pleated the sleeve caps instead of gathering. Pretty happy with how it turned out, I now have a proper walking costume! I hope to get pictures of the whole ensemble on me in a couple of weeks, but for now a picture of the hair/hat test! I cut all of them open and sewed them together into a big ring. This allowed me to put this on my head and use as ‘filler’ for the rolls. My hair is pretty thin and sleek, so I need filler. This worked quite well, and made my hair big and sturdy enough so I could put my hat on it and make it stay in place. Last year I stumbled on an add on Marktplaats, a Dutch version of Ebay, advertising an old jacket. There were no exact dates, or provenance, just ‘antique 19th century’. But it looked really lovely, and for the asking price I figured I’d probably even want it if it wasn’t actually 19th century. So I bought it, and it’s absolutely gorgeous! Not entirely sure if the ’19th’ century is correct, but I’d date it between 1897 and 1910, so close enough. The inside is beautifully finished, and the trimming is obviously done by hand. It’s made of wool, and unlined. The only damage is that 4 of 6 buttons are missing, and the braid has turned slightly brown. This last thing is also what made me conclude on the dating, as there’s been some research to this type of discoloring. It probably happened in the early stages of viscose production and dyeing, because the proces wasn’t perfected yet, ageing turns the viscose brown. (There’s a full Dutch article on it here, based on research for a master’s thesis: https://www.modemuze.nl/blog/verkleuringen-bij-een-zwarte-damesjas). I’m still planning to see if I can take a pattern from the jacket and the braid pattern, but haven’t gotten around to that quite yet. So for now, I just tried to take some proper pictures! There’s loads of them, so if you don’t like a lot of images maybe stop reading now. I personally always get frustrated when museums don’t post all views, so I tried to give plenty of perspectives! The jacket closes with a double-layered flap which hides the buttons and buttonholes. Only 2 of the buttons are left, the others have fallen off. Some images of the construction and the jacket lying flat. The jacket is not lined, but all the inside raw edges are covered with tape including the arm holes, so it’s beautifully finished. 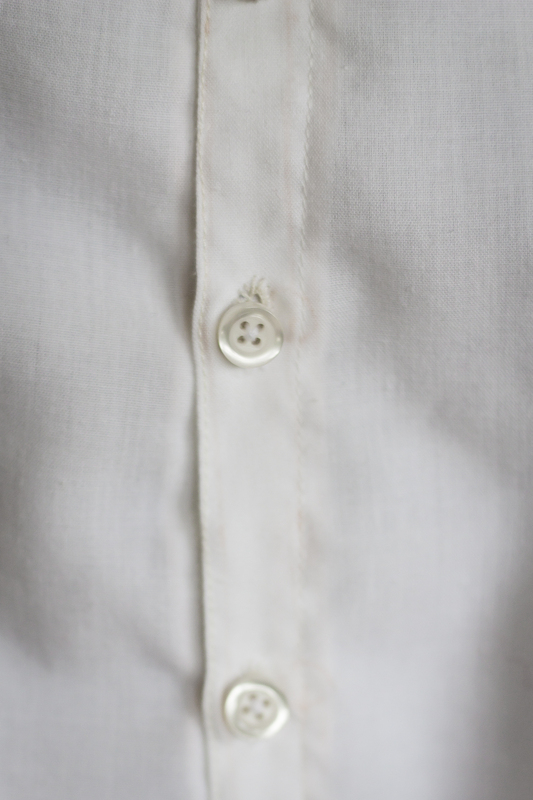 The buttonholes are also obviously worked by hand, and the stitching of the braid shows on the inside. The collar has a facing for extra protection and two hooks and eyes to keep it closed. The tag is still included and says ‘Nouveaute’. Finally, I tried to take some images of the pattern of the braiding lying flat. Of course, it didn’t want to lie flat at all, so apologies if it’s still a bit wobbly. The braiding is gorgeous, and done by hand. I also appreciate how it’s not 100% symmetrical, there are some slight differences. That’s also the reason I tried to photograph both sides. When wearing the jacket, half of the braiding on the right side isn’t even visible, but the attention to detail is amazing. On the collar, both the inside and the outside are also decorated. The left (viewer perspective) side of the front braiding. 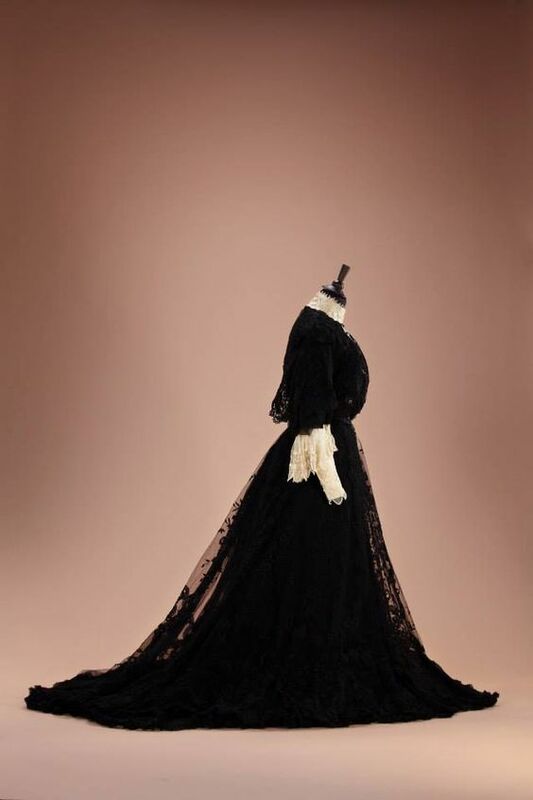 Achieving the Edwardian silhouette – but how? Often in historical costuming, we try to create an outfit with which we’ll look like we just stepped from a period painting or photo. This means sewing the clothes as worn in a certain period, with varying degrees of historical correctness. 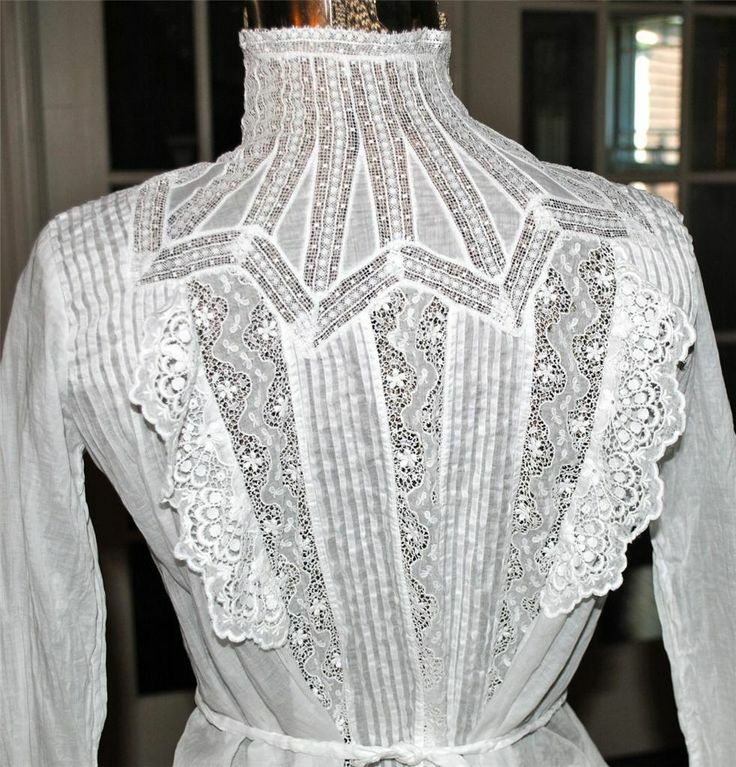 Even with a perfect replica though, it often takes more than just making a dress, or a blouse and skirt. 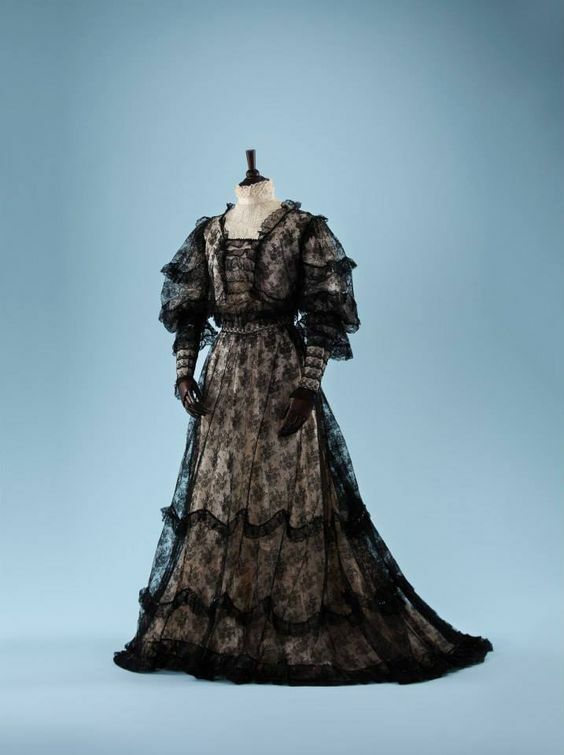 It was often the underthings which created the silhouette, and many historical dresses look a bit frumpy when not worn over the correct undergarments. But how to achieve these silhouettes? The first things to get right are usually the corset, hoops, bustles and petticoats. But some era’s need a little more. 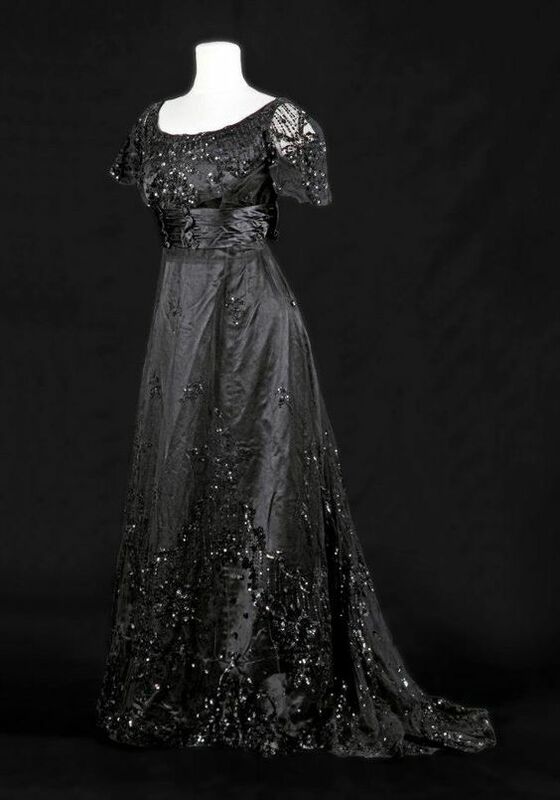 Today’s blog is on the top half of the Edwardian silhouette, and some photo comparisons on how to achieve it. If you’re in doubt on how to recreate the look, I hope this post is helpful! Let’s start with some info on what we’re trying to achieve with the Edwardian silhouette I’m talking about. 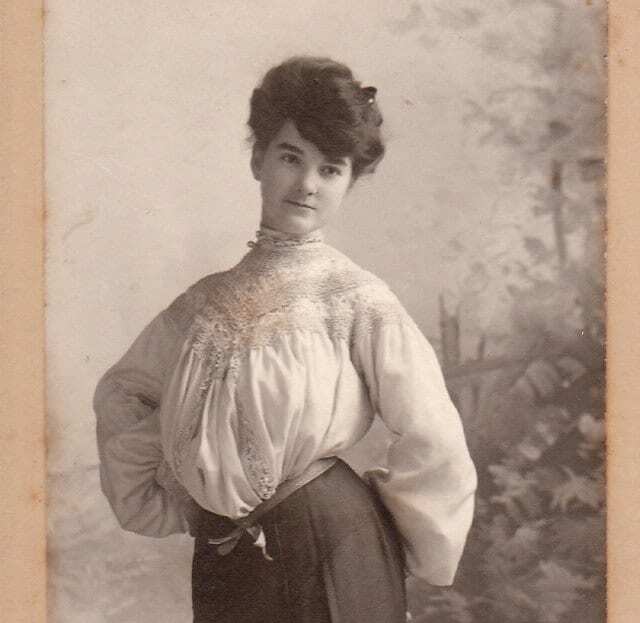 The era right after 1900 was characterized by a very typical shape in women’s clothing. An hourglass figure, with a very small waist, wide hips and a large chest. It also saw the rise of the so-called ‘pigeon-breast’. This term was used to describe a women’s top half when seen from the side. 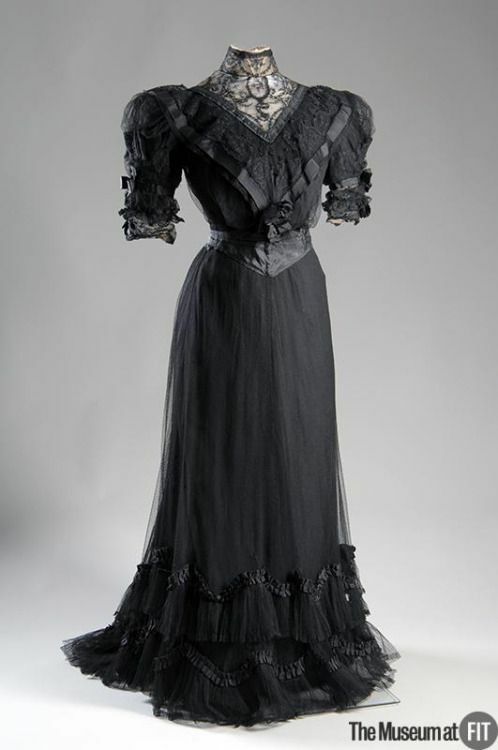 In the Edwardian silhouette, the chest was left in its natural position (as opposed to the more pushed-up look from the Victorian era, or the fashionable silhouette in contemporary fashion). Additionally, the top of some dresses and blouses was left to hang very loose from the chest, to then be cinched at the waist. As is more often the case, pictures describe the look a lot better than words can. This lovely girl shows the classic ‘pigeon breast’ silhouette. The first thing important in achieving this look is to wear a correct corset. 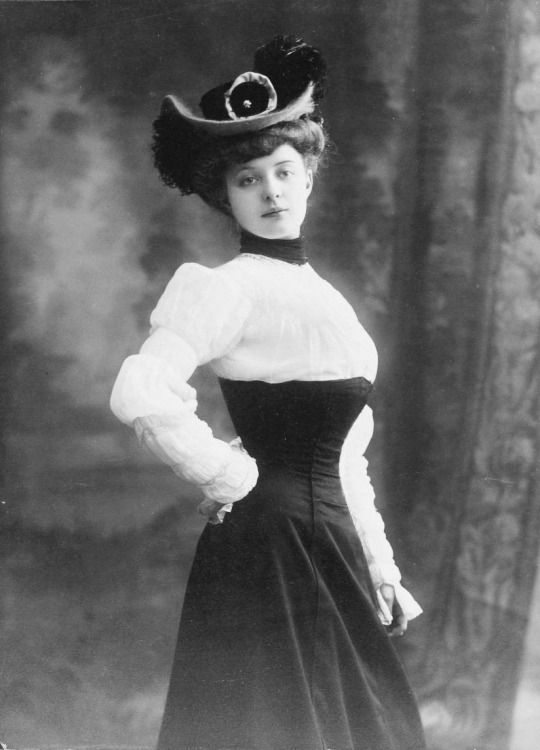 Edwardian corsets don’t push up the chest, while a Victorian corset or modern bra will do just that. But there’s a little more which can help to get the silhouette right. 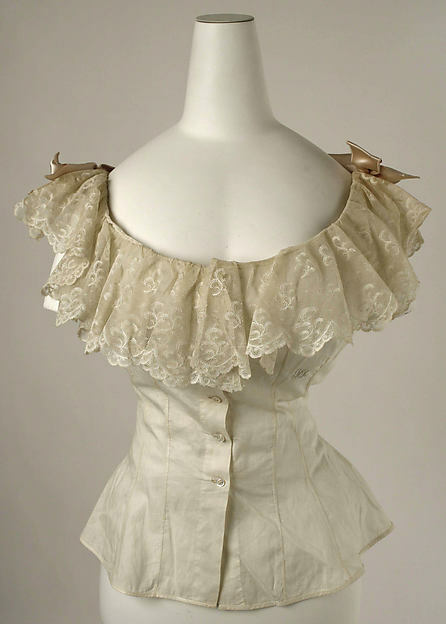 The first option is wearing a ruffled corset cover. 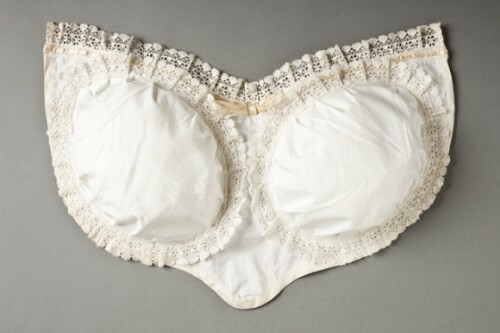 Corset covers were simple garments worn to disguise the corset lines underneath thinner dresses and blouses. 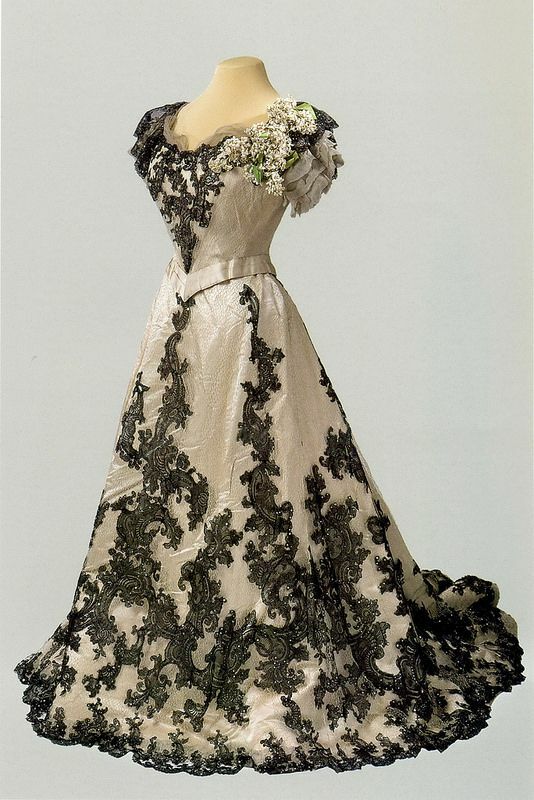 They were already worn in the Victorian era, but became a bit more elaborate in the Edwardian era. More specifically, they became fuller to support the new fashionable silhouette. 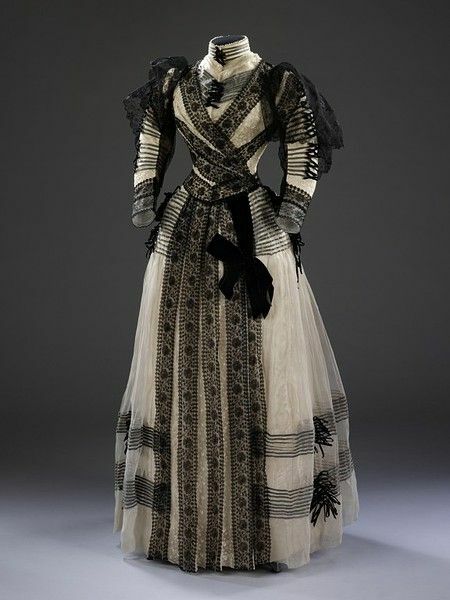 The earlier corset covers could be quite lovely decorated, but were meant to be worn underneath form-fitting dresses, and therefore thin and flat. 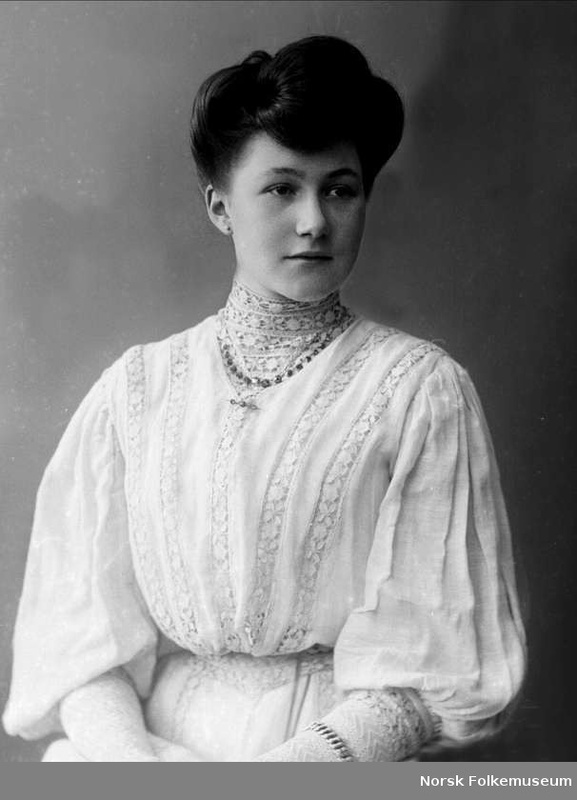 Although Edwardian corset-covers can still be ‘flat’, for wearing under form-fitting evening gowns, some became more elaborate to support the fullness of the gowns and blouses. 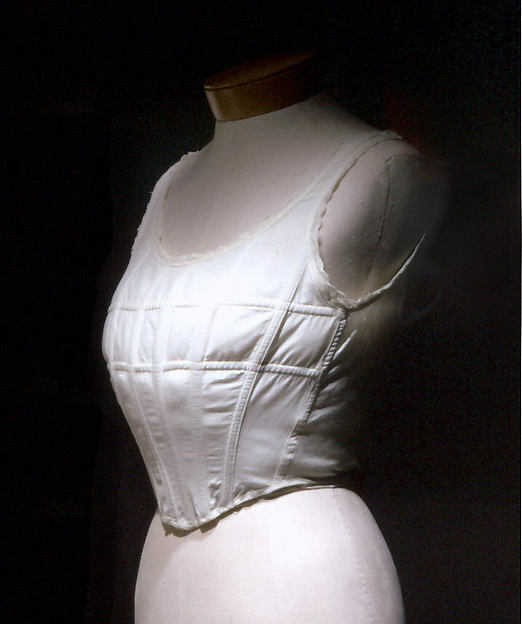 Some corset covers even incorporated boning to provide the shape people were looking to get. Aside from the corset cover, a little extra help was sometimes needed. So-called ‘bust-improvers’ were used as extra padding. There’re multiple still in existence. This is another option to create the look. 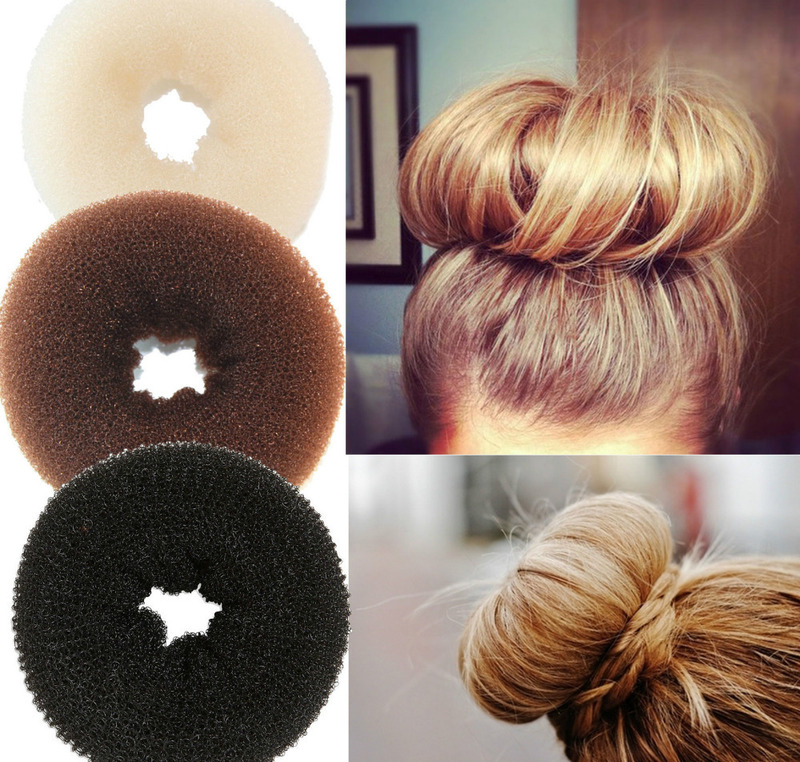 So, you might ask, what’s the difference if you wear these items or not? 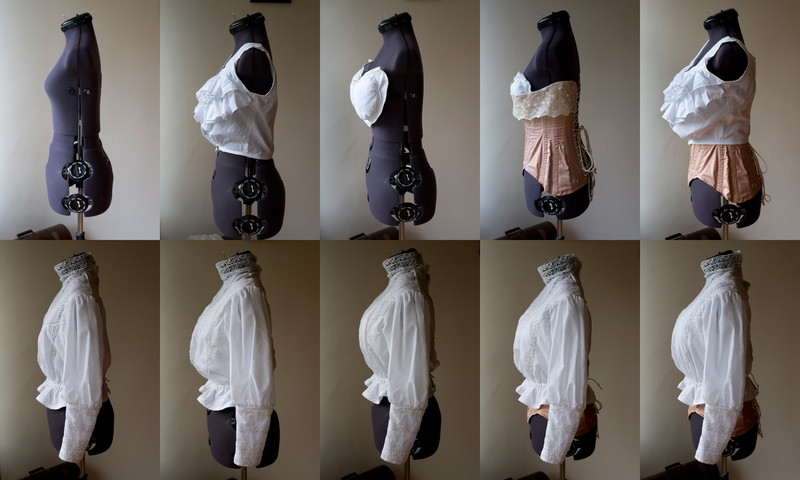 I’ve made both bust improvers and a ruffled corset cover, and took some pictures to show what it did to the silhouette. 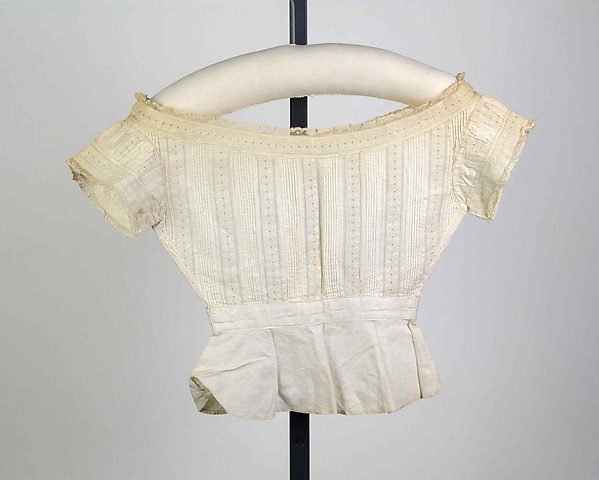 I haven’t made a boned corset cover, but for anyone who’s interested, you can check out Fashion through History’s blogpost, because she made one. The corset-cover I made was done using the Truly Victorian Edwardian underwear pattern. 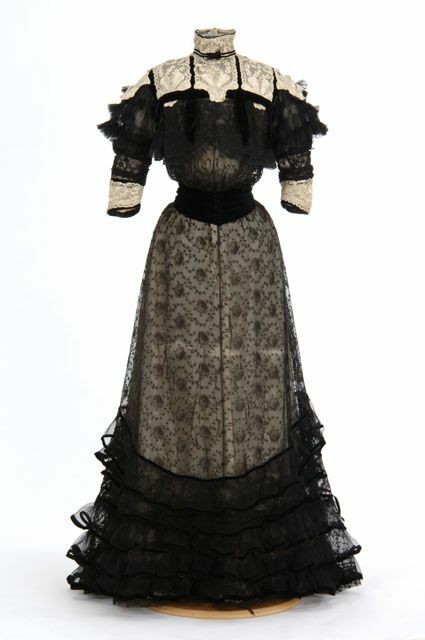 It features a chemise, drawers and both and evening and daywear corset cover. I made the latter, with the ruffles. 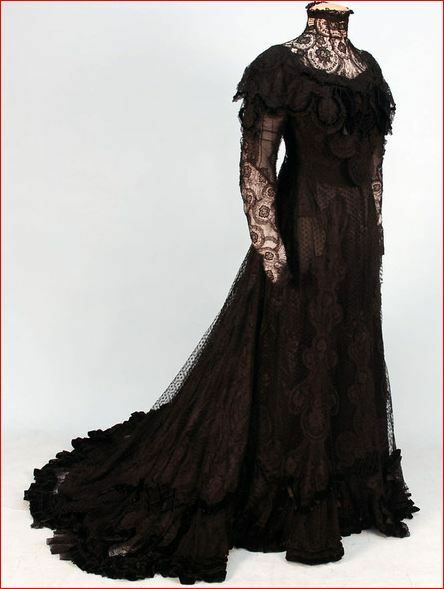 The corset seen in the images is also from Truly Victorian, the Edwardian corset pattern. I originally made both because I figured I could use all the help I could get to achieve the correct period effect. I photographed both the corset cover and improvers on my dummy. For the bust improvers, I believe you’re supposed to wear them underneath the corset, but some bust improvers might have been worn on top, so I showed the difference. I personally wear them inside, because otherwise my corset is a bit large at the top. I also took pictures both with and without my Edwardian blouse on top, so you can see what the underwear does to the silhouette. These show the different versions from the front. Some differences already show. Most noticeably, the dummy without any underwear shows that the blouse is a bit baggy (far left). 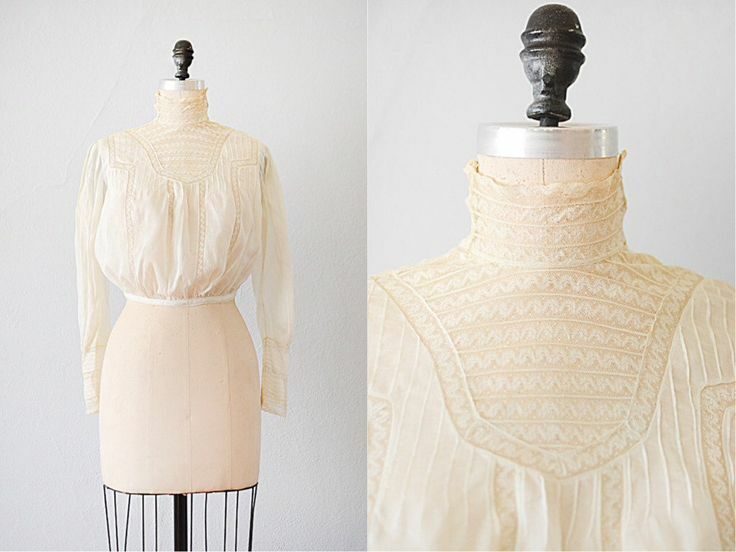 On the other hand, the dummy with both the improvers and corset cover shows that the blouse is straining a bit. Nothing serious, but the blouse is just a bit too small to fit over everything. Things become more interesting when looking at everything from the side. There’s a dramatic difference between no extra underwear (leftmost image) and any of the supporters. 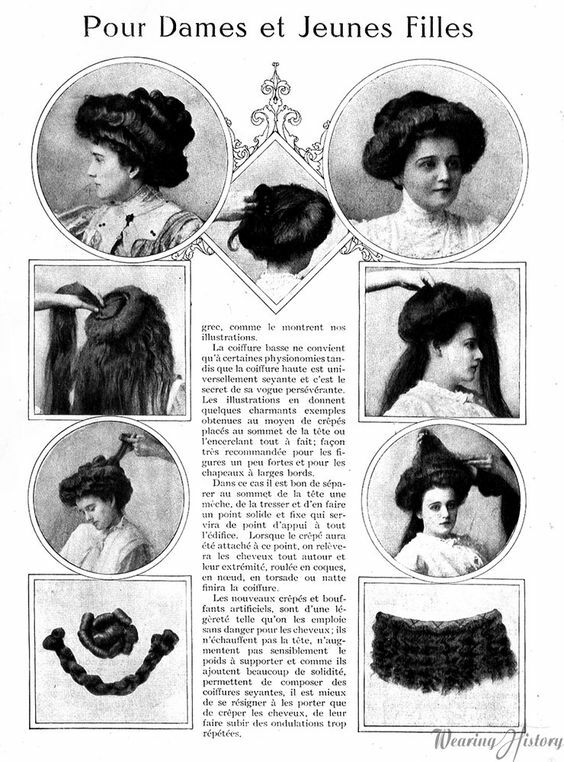 The corset cover only (2nd from left), or the bust improver in the corset (4th from left) have a very similar silhouette, which works well for the Edwardian ideal. 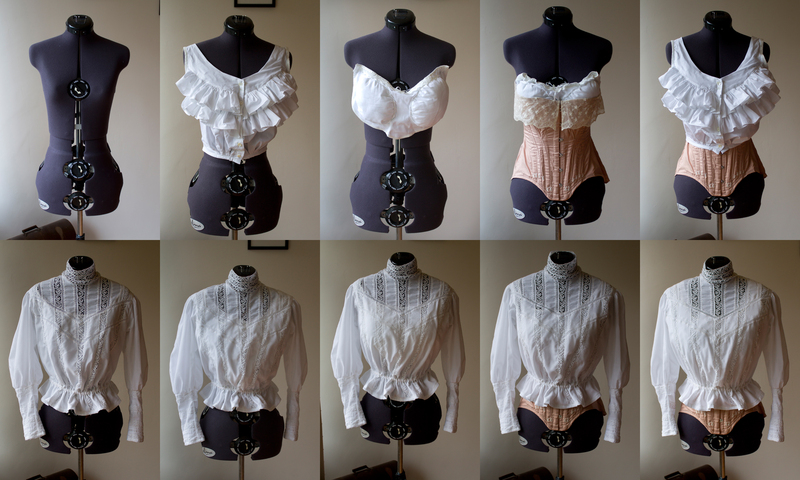 The bust improver worn out of a corset (middle image) shows a nice full shape which is probably closest to our a modern silhouette. The bust sits a bit too high for a proper Edwardian look though. The corset-cover plus bust improver (rightmost image) clearly has the largest shape. For me personally, this is a bit too much. I have a rather small frame, and with all the padding and ruffles it feels a bit over the top. My personal conclusion is that I’ll wear my bust improvers inside my corset, without the ruffled corset cover. The main reason to pick this option over the corset cover only is that my corset doesn’t really fit well without the improvers. I’m guessing that this is a good option for people with a relatively small bust, who wish to make a standard-sized corset fit a bit better. (I took sizes into account when making the corset, but could still use extra padding in the front…). 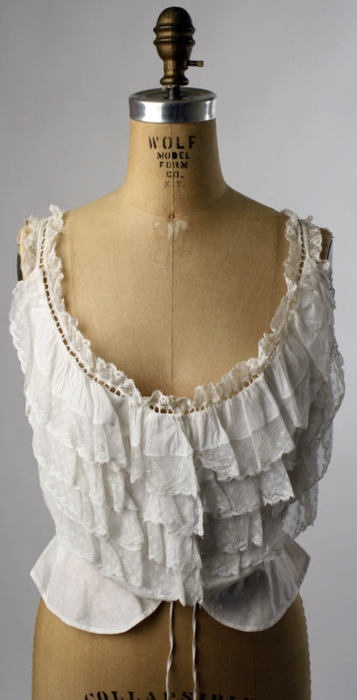 For people who don’t really need this extra filling, I’d probably recommend making the ruffled corset cover. This has the added advantage of hiding corset ridges. For me, I’ll probably be adapting my corset cover by taking off the ruffles. This way, I can wear it for outfits with a tighter fit as well, and it will work better together with the bust-improvers. I hope this comparison was useful for everyone, and I’d love to see how other people achieved the period look! The buttonholes were sown by hand. Mostly because I don’t trust my sewing machine. It has an automatic buttonhole function, but depending on the nr. of layers it needs to sew through it makes the hole smaller or bigger, which is not helpful. I also find I like the look of hand-sewn buttonholes much more, and it’s a relaxing exercise. 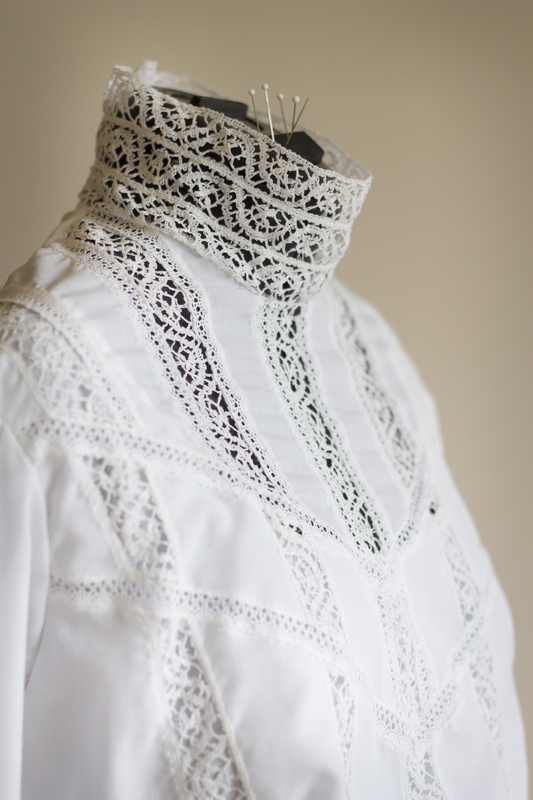 The collar closes with hooks and eyes, because buttons in the thin lace wouldn’t work. I’m still really happy with how the lace work turned out, so some more pictures, because it’s so pretty! 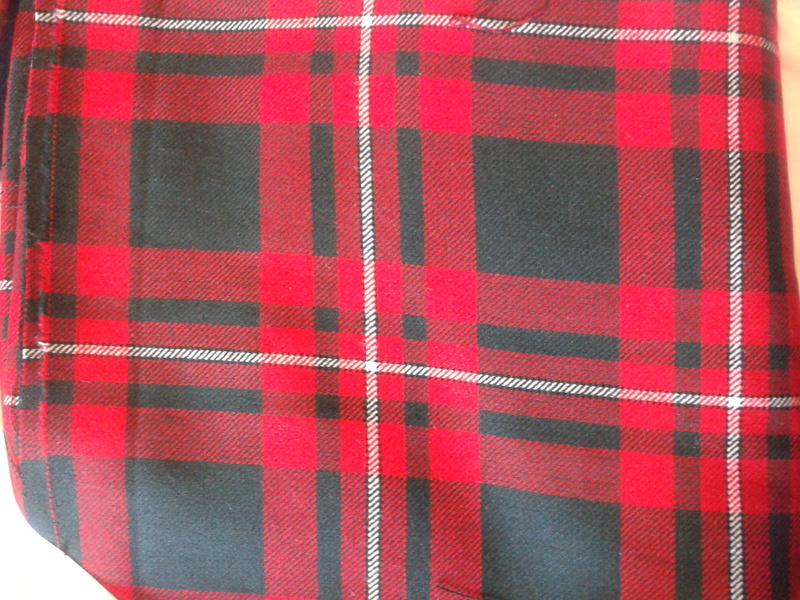 Finally, a shot of the inside where you can see the hem and the french seams (this one is on the lining). 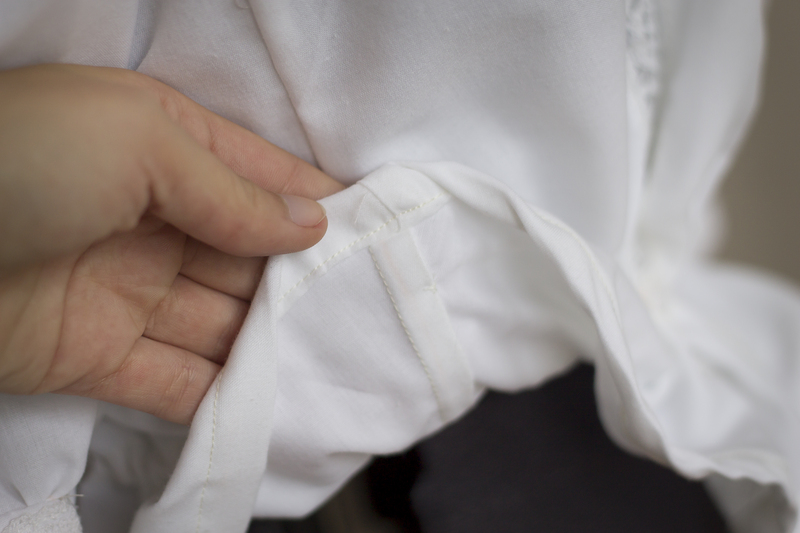 If you look closely, you can also see where I attached the lining to the main blouse on this (side) seam. 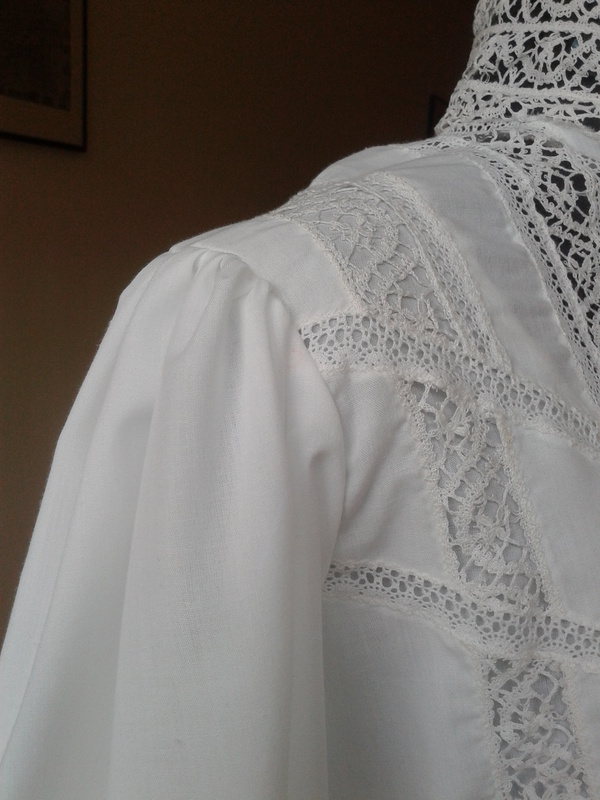 I also managed to get some pictures of the blouse worn! No detail shots, because that’s difficult when taking photos of yourself. I wore a short skirt which sort-of has the right silhouette and a modern belt, but it does the job of showing the silhouette. It has a slight pigeon-breast effect, exactly as it should have! Apologies for the awkward pose in this image, but this picture shows off the silhouette best. I love how the width of the blouse helps to make the waist look small. And one more, just because I liked the picture. How historically accurate is it: I’d say pretty good. The pattern fits, as do most of the materials. I did use polyester thread and I suspect the buttons are also plastic. 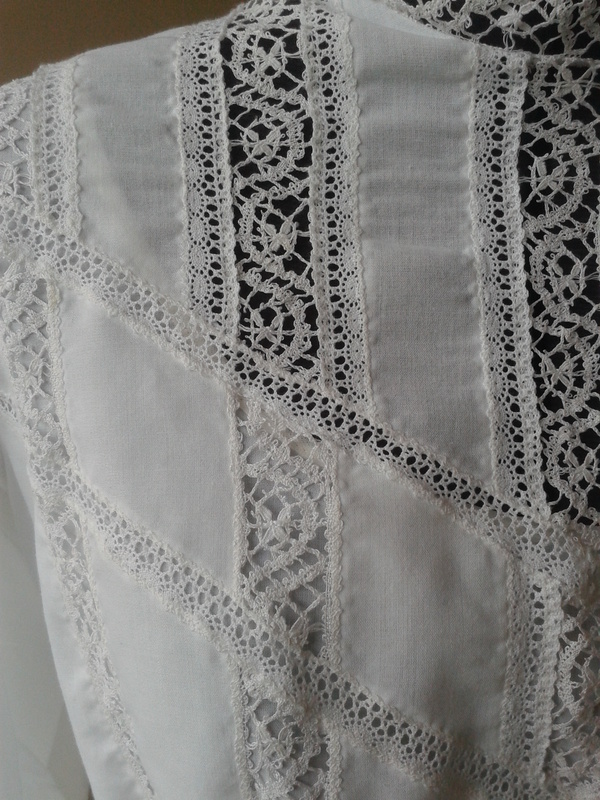 I also inserted the lace by machine, which probably would’ve been done by hand at the time. Hours to complete: Around 2 days. 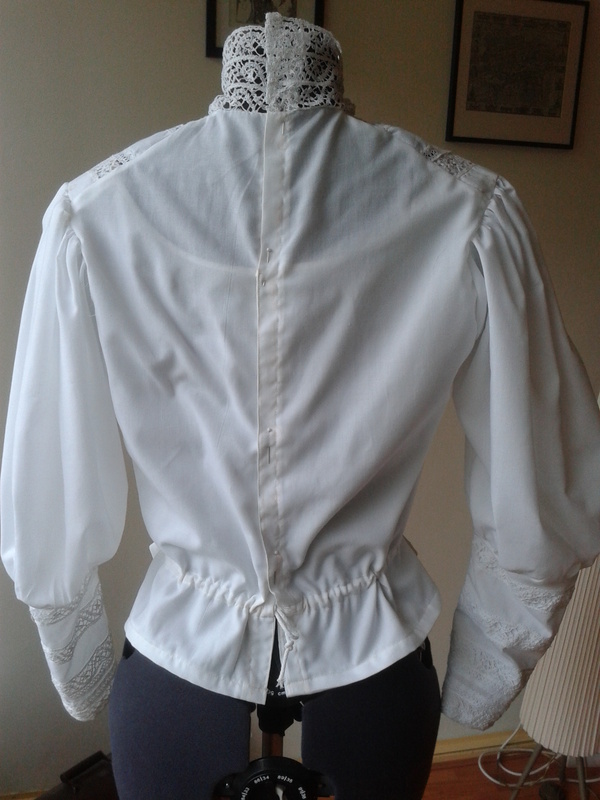 With the underwear layers of my Edwardian outfit almost done, I could finally start on the garment which began the whole project, the blouse. 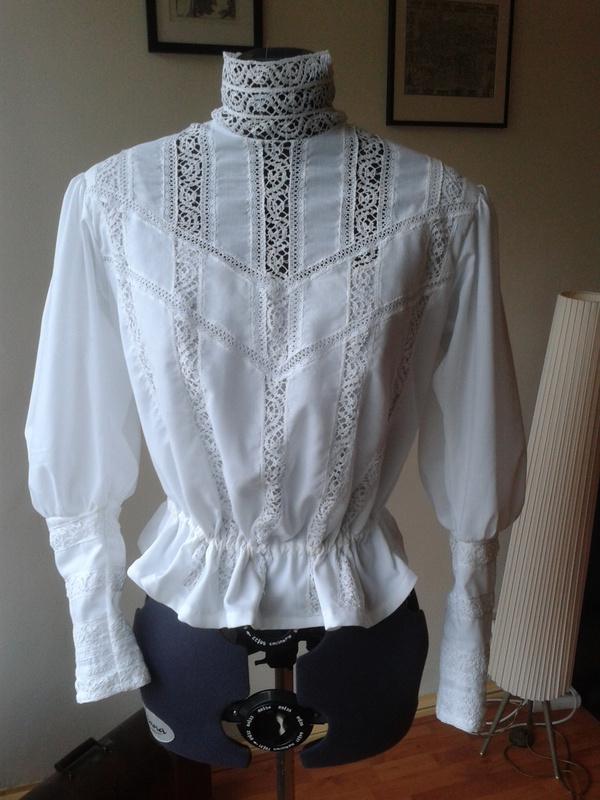 I used the Wearing History Edwardian Blouse pattern, but adapted it slightly to fit an earlier style. The blouse is ca. 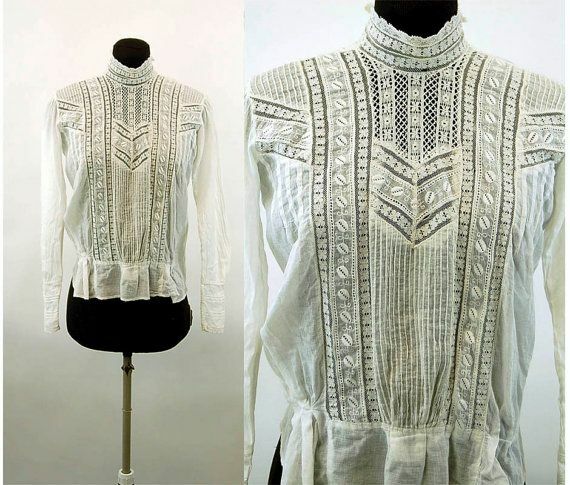 1910, and because I’ll be making the wider type skirt more seen in 1906/7, I also wanted a blouse to fit those years. Basically, the adaptation meant splitting the sleeve in an upper and lower part, and adding width to the top. The pattern was great to use! A lot of information, many different options and even some information on how to adapt the pattern for earlier/later styles. 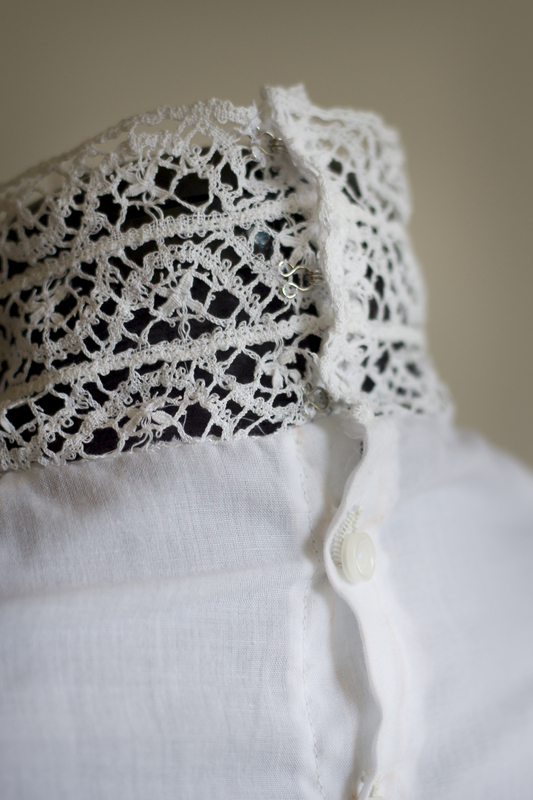 Moreover, on her blog Lauren from Wearing History has a tutorial for lace insertion which is a perfect complement to this pattern. It worked really well! I did a little sketch to guide the lace placement, which is similar to the photo, but with 2 different types of lace, more lace at the top and some v shaped insets. 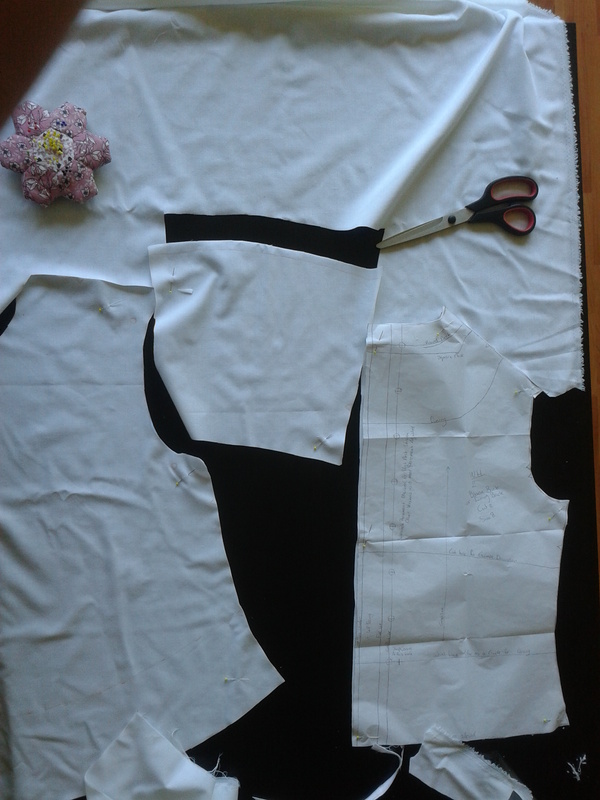 After copying and adapting the pattern, and checking the fit it was time to cut! I used plain white cotton, of the thinnest and drapiest quality I could find. The lace insertion was done before assembling. So I took the front panel, and started laying out my design. This was what I ended up with! It looks really messy, but I didn’t want to cut until I was sure I’d have enough for what I planned. 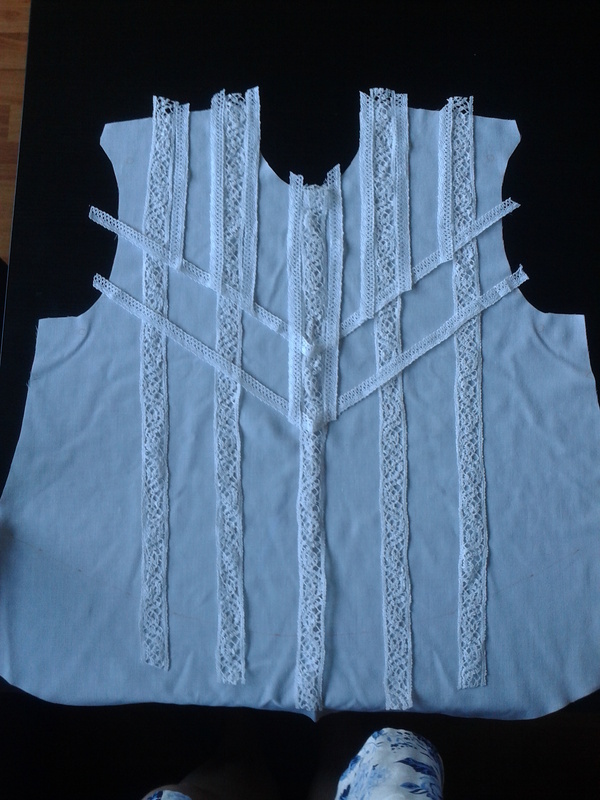 After this, I cut the lace and placed it on the fabric again to check the design again. The lay-out after cutting already looks a lot cleaner! Now it was time for sewing! 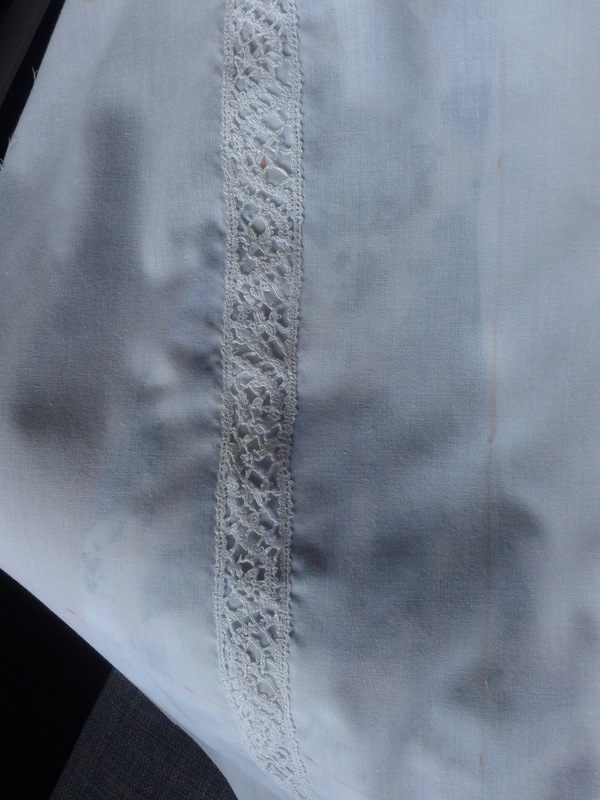 I drew the lines of where the lace needed to go on the fabric. The horizontal strips will go first, and then the v shapes. 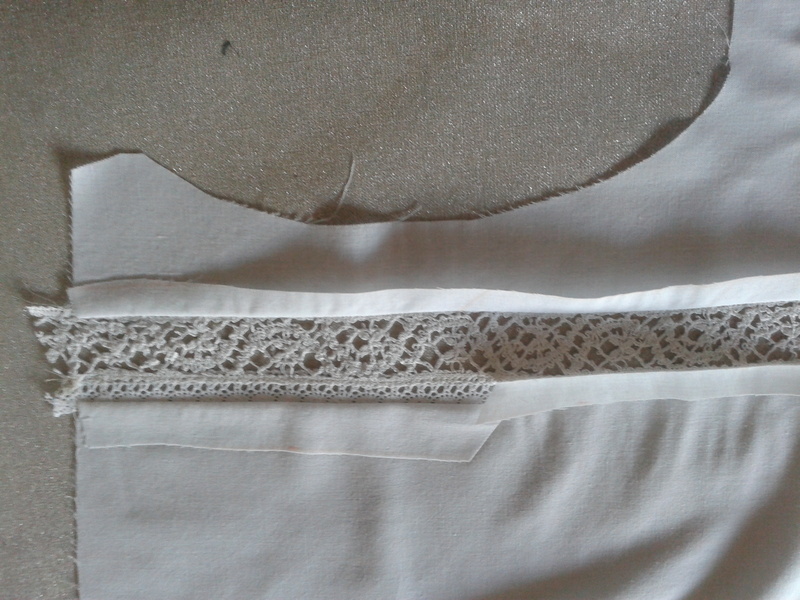 I first sewed the narrow and wider lace together where they matched up, and then inserted them. I did one strip to test first, and then all the others. 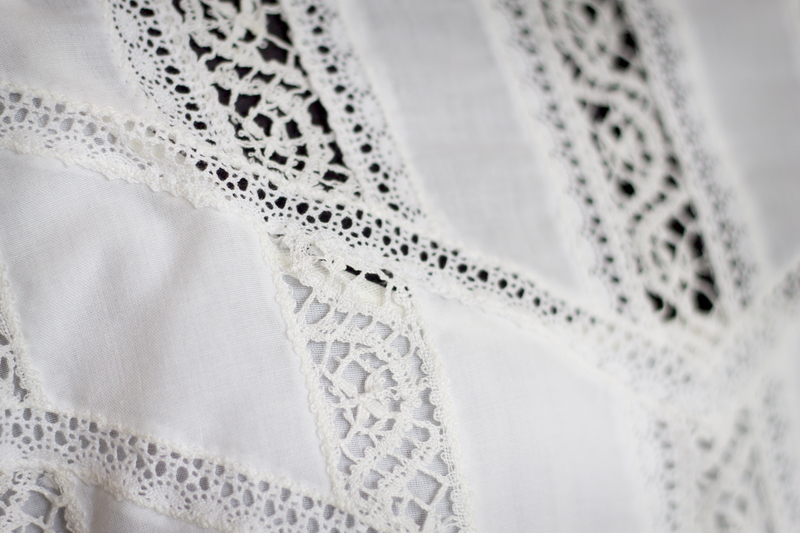 The first step is sewing the lace onto the fabric in the right place. Strip one done! Next up is cutting away the fabric on the inside, and pressing away the fabric to the sides. This is then zig-zagged on again and the exes fabric clipped away. In the image below all strips have been sewn on and the fabric clipped open. The one on the far left is finished, with the allowance finished and clipped. For the others, you can still see the allowances shining through. 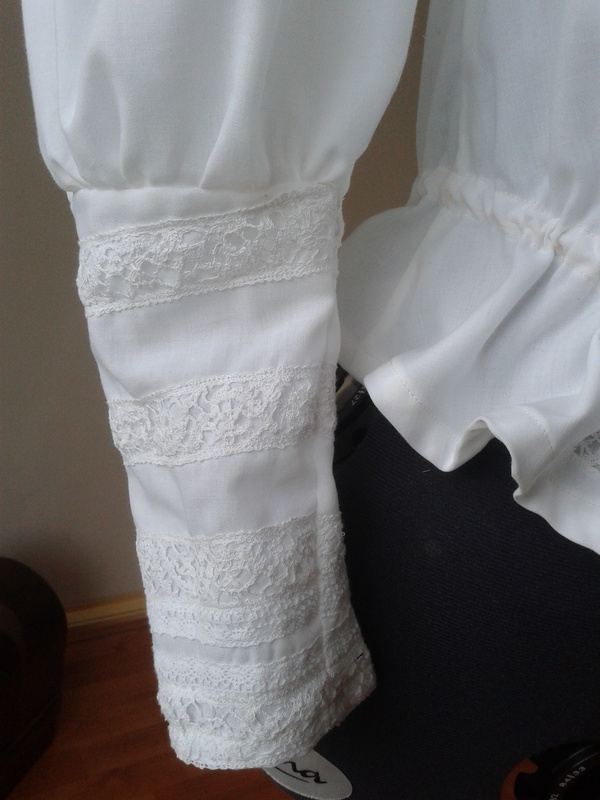 This was the point where I stopped taking pictures because I forgot… I next inserted the v shaped laces, and added lace to the lower sleeves. The bodice was then assembled, the sleeves gathered and assembled, and bodice and sleeves sewn together. 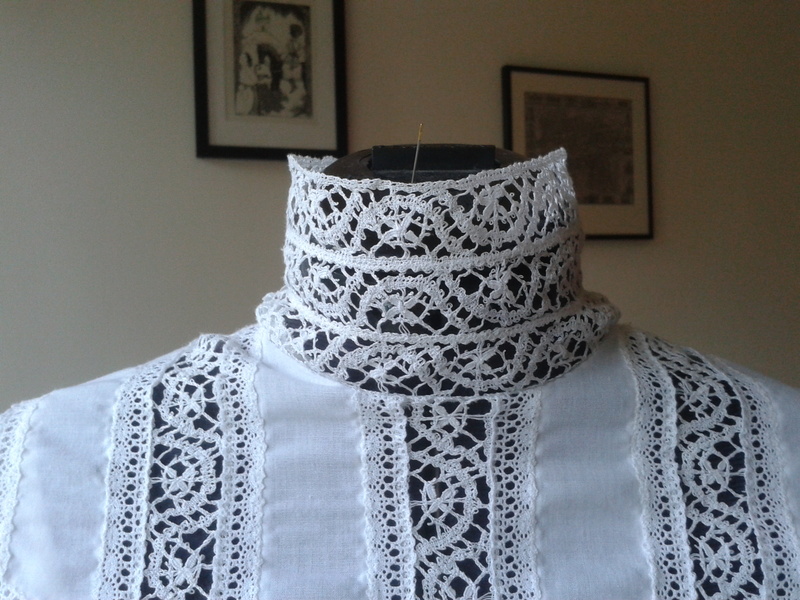 I made the collar of 3 strips of lace, and sewed it on. I finished all seams with french seams. 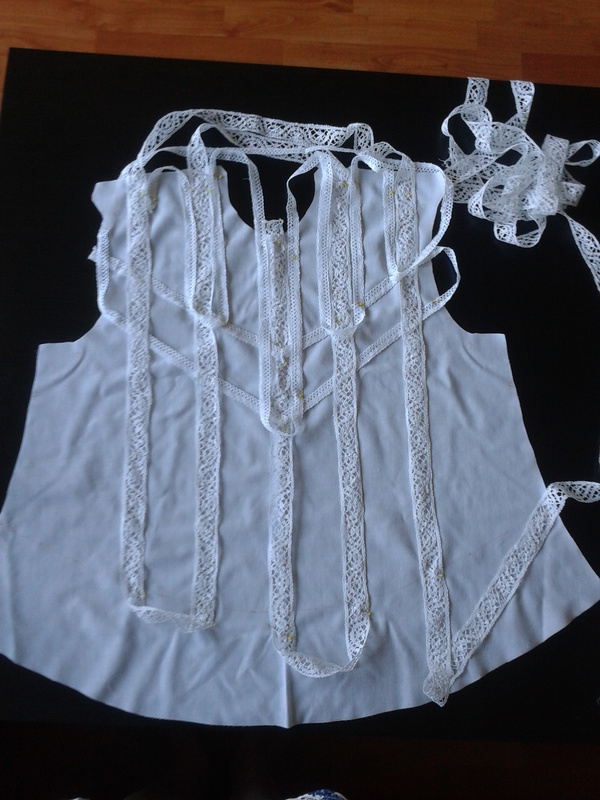 I also added a lining layer, because with the thin cotton and lace the blouse is pretty sheer. 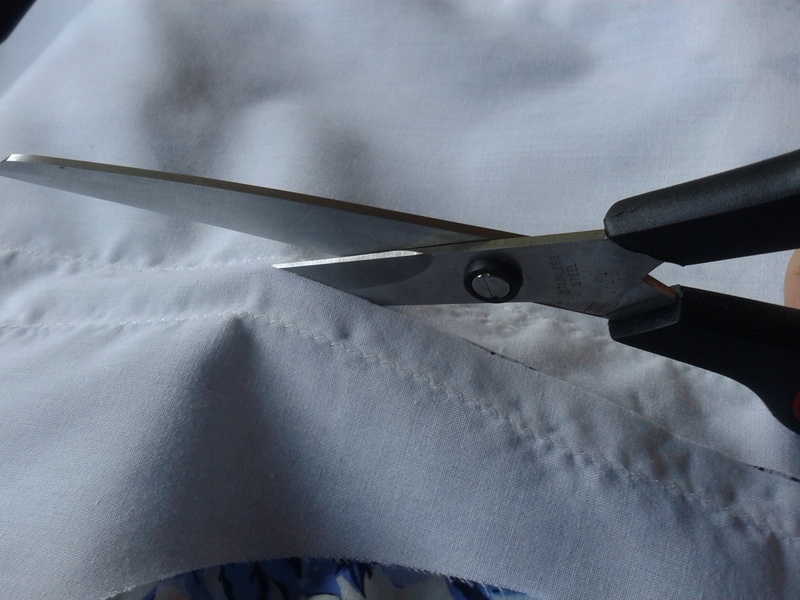 The lining was tacked to the blouse on the inside, and a fabric channel sewn on at the waist to gather the blouse. 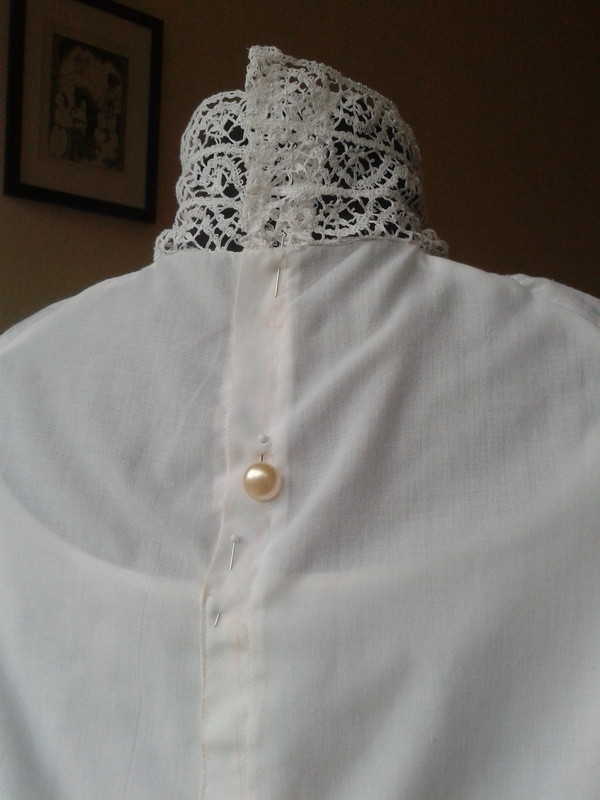 Finally, I finished the back and hemmed the blouse. 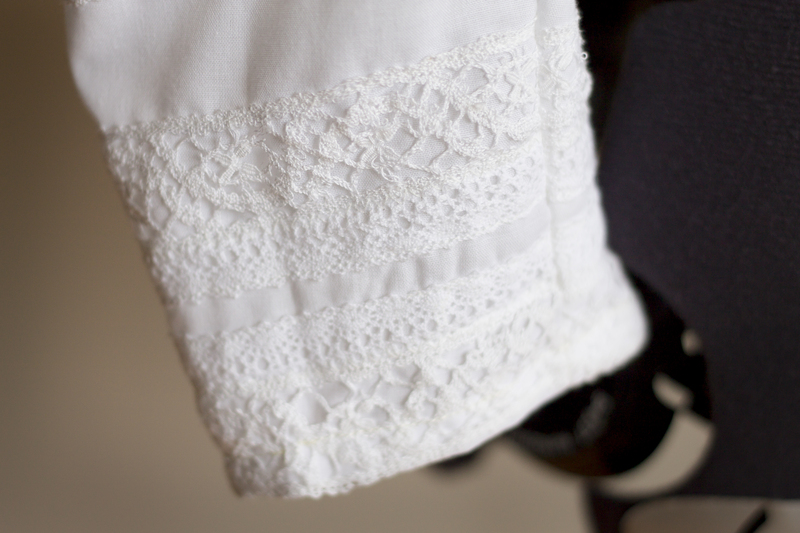 Some detail of the lace inserts. 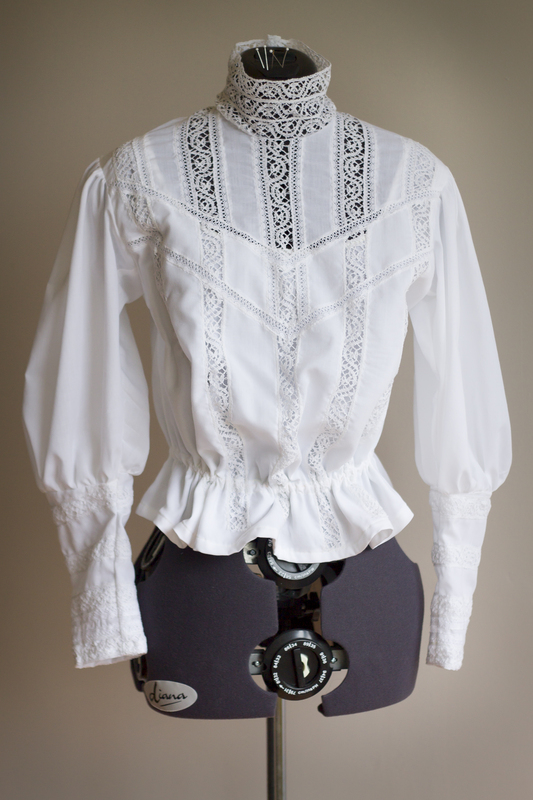 The lower sleeves also have lace, but these are just sewn on for a more solid look. A little puff at the sleeves! 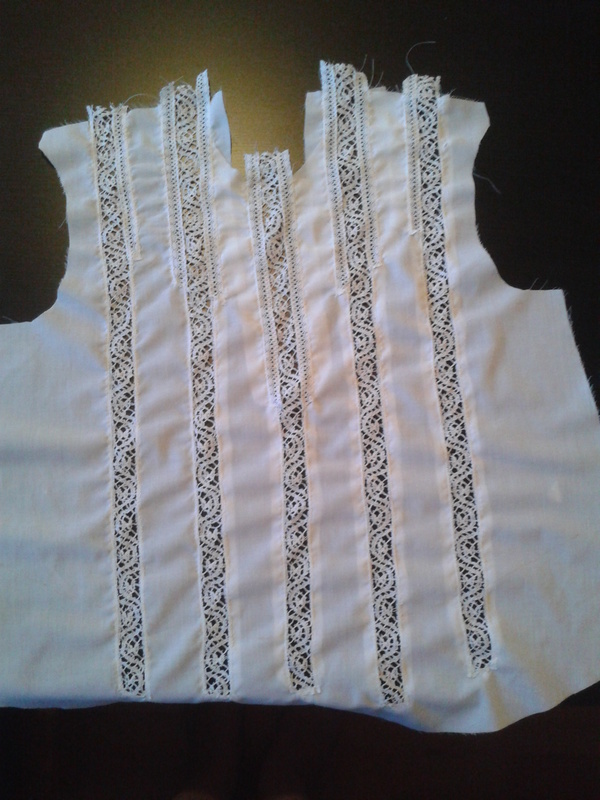 Now the blouse is almost finished. Almost, because I haven’t made the closure in the back yet. This is what it looks like now, pinned shut.